There’s no mistaking the growing business of automation. Since 2010, AI and automation startups have attracted almost a billion dollars in VC funding, while some of the biggest tech brands are making investments of their own. Facebook, Apple, Google, Microsoft and Salesforce have all completed acquisitions in the AI space this year. Universities, until recently the prime destination for the brightest minds in robotics and AI, have seen their departments plundered by technology firms over the last three years as an arms race develops between the world’s largest companies to establish a lead. And it is a race not limited to technology giants. As many as 30 different brands are currently investing heavily in driverless vehicles, while cognitive computing is being trialled in industries as diverse as oil and gas, accounting and financial services. It is clear that robots are big business. Automation is nothing new. But it is undergoing a significant renaissance, with the huge investment and almost incessant breakthroughs over the last few years leading to a tipping point, where maturity is expected to be reached within a relatively short space of time. Already, companies are deploying robots not just for back office tasks but also in their interactions with customers. A recent Capgemini study – “Artificial Intelligence: Where and How Should Large Organisations Invest” found that an average 36% companies across sectors were implementing artificial intelligence (AI), either as a pilot or at scale. There were also some surprising leaders in its adoption, with India (58%), Australia (49%) and Italy (44%) leading the pack as the most advanced. These early implementers are learning to trust AI and robots to deliver benefits to their customers; lower cost and risk, improve process efficiency and more. And trust is being built at speed in a number of key areas. Repetitive and mundane tasks are perfect for AI as unlike humans – boredom and human error do not impact performance or employee satisfaction. Not only that, but AI can be used to identify trends and patterns in huge or fast-moving data, which we cannot, and act automatically within set parameters on the results. A business must have confidence that when the AI is repeatedly asked a question, with the same parameters, it will give the same answer. If we can’t rely on this, then we cannot place AI in situations where it will interact with customers or make decisions that have an operational impact. The underlying data and parameters on which an AI implementation bases its decisions, must therefore reflect reality (the truth), in order to get a meaningful answer every time – just as with humans. Many are achieving much more. Harley-Davidson used AI internally to drive highly targeted marketing activities by helping employees identify customers that shared the same attributes as previous high-value customers. This led to a 2,930% increase in sales leads in three months. Dutch airline KLM is a great example, it created an AI agent that authenticates and processes calls, solving customer queries over a variety of digital platforms, adapting the reply based on the inquiry platform. This has led to a 35% improvement in customer service efficiency, and 30% of cases are solved through its AI platform. In fact, three quarters of the AI implementers we surveyed said AI implementations had enhanced customer satisfaction by more than 10%. AI is proving its value to customers and businesses, while building trust. For a long time, we have trusted technology to make our lives better, both personally and at work, and the expectations are the same for AI. Our research shows the positive impact of AI on employees. Organizations are using AI to augment human output, creating opportunities for staff to take on higher level tasks: moving away from the mundane and repetitive to tasks that require analytics and creative thought. This leads to more engaged and fulfilled employees – and that means a better company. Four out of five executives in our survey agreed that AI is actually creating new job roles. Most of them reported as at a senior level, with 67% at the grade of manager or above. Our research shows that businesses are quickly building trust in AI. 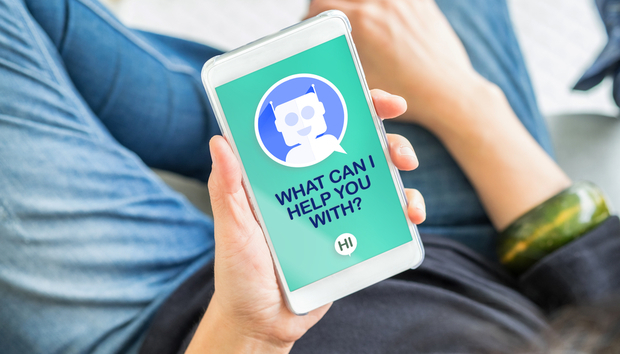 When implemented correctly, AI is currently ticking the trust boxes for reliability, truth and its ability to bring real benefit to customers, businesses and employees. We will rightly see it utilized at all organizational levels as trust increases – but this transformation will not happen overnight. That’s why business leaders must ensure the technology they choose fits the strategy of the business, thinking carefully about which elements they automate, and piloting them, to ensure real business value.